Kauri dieback is a scourge of the Waitakere Ranges. The disease is widespread throughout the west, particularly in Titirangi. Council has been identifying where it is located and has just completed the second intensive monitoring exercise. The first was conducted five years ago. I am afraid that the news is not good. The rate of infection in discrete Kauri areas has increased from 7.9% to 19%. And the highest risk vector has been identified as soil disturbance associated with human activity. To make matters worse it appears that the use of trigene cleaning stations is declining. I am not surprised that the increase of infected areas has occurred at the same time that trigene use has reduced. It appears that knowledge of the treatment is high but actual use is declining. 83% of people trekking through the Waitakere’s are ignoring the hygiene requirements. And Kauri protection zones are not working. Track counts show that even tracks that have been closed are experiencing foot traffic despite their status. The Waitakere Ranges Local Board has declared protection of Kauri as one of our major priorities this term. It was also one last term and we went as far as employing a Kauri dieback coordinator to raise awareness of the disease and what people have to do to try and prevent its spread. I am pleased that the Council has realised the importance of this role and more resources are being put into education and prevention as an urgent priority. The news is not all doom and gloom. The experiment with Phosphite treatment has shown good results and is is close to being rolled out in an enhanced trial. It does not cure the disease but application of phosphite appears to give trees sufficient resilience to the disease to make them viable. Mayor Phil Goff has taken special interest and wants urgent action to be taken. Before Christmas there will be action to improve the trigene stations and ambassadors at the stations reminding people to clean their shoes. Next year a more complete look at the issue will be conducted to see what we as a community can do. Already many in our community contribute a great deal but clearly more is required. And there will be ongoing thought given on how to mainstream the phosphite treatment. The spread has been particularly rampant in the Waitakere Ranges. This heritage area now has the unfortunate feature of being the most infected area in the country. By comparison, on Great Barrier Island, where the disease has been present for decades, the spread appears to be more limited. This may be due to a lower population and a drier climate. Why is this so important? Because the disease is a species threatening one. 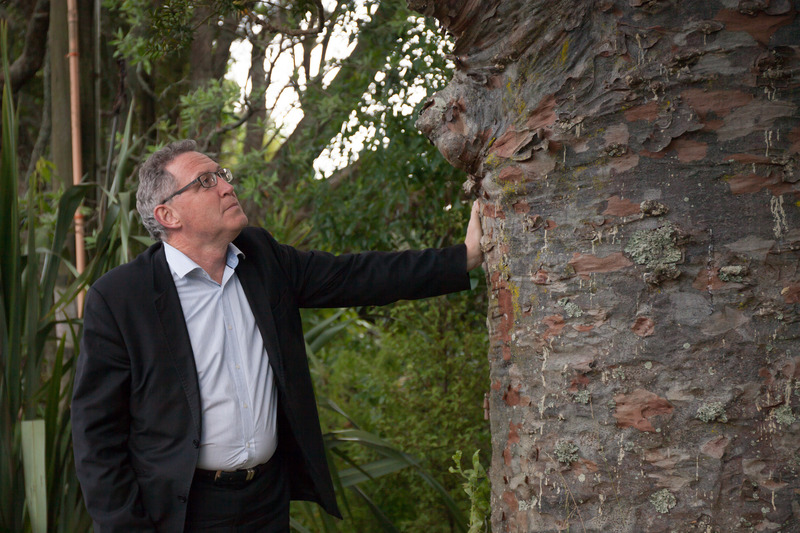 No cure has been discovered, nor have that have immunity to Kauri Dieback been identified. These trees are the kings of the forest. Without them not only will the forest lose some of its majesty but the forest’s backbone will disappear. It would be more susceptible to wind and weeds will flourish. The Waitakere Ranges are a special place. Without Kauri they would be that much less special. This is why we need to do all that we can to ensure that this disease is arrested and Kauri are preserved. Council needs to prioritise dog control measures on weekends out West, off leash dogs on bush tracks is rampant and surely a contributor to the spread of Kauri Dieback.